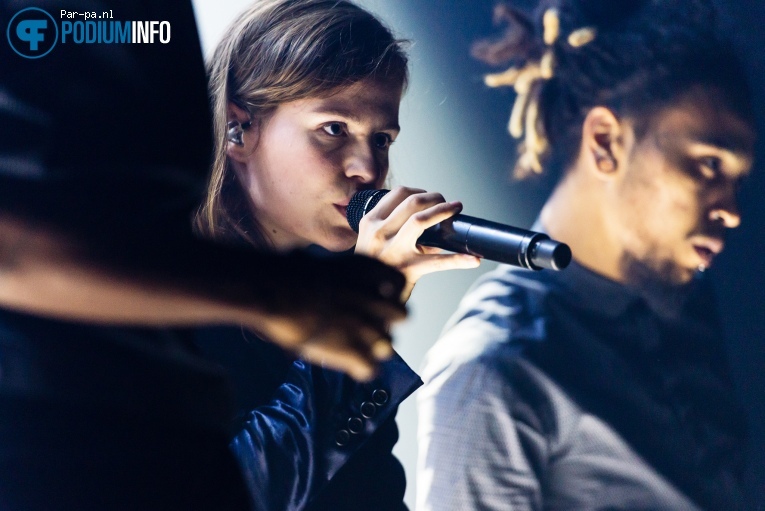 I first stumbled the French Christine and The Queens at Lowlands festival earlier in 2015. I was walking towards another stage and literally had to stop because I heard amazing beats from the stage. So when I saw she was giving a concert in Amsterdam I bought tickets straight away, so I could see her perform a full set where she was the headliner. Christine, (real name Héloïse Letissier) has a very unique way of performing. The show was a visual feast full of movement and strobe lighting, and it was definitely not only about the music. She is much better live than by listening on Spotify by the way. Together with her dancers she has a modern choreography which is more about moving the whole body and not your typical "hip hop" or "pop" style moves. Since I had already been blown away once, it was hard to be blown away for the second time, since I already had a first impression and therefore expectation of the amazing performance. The Lowlands stage was much bigger and the screens were also bigger so the light show had more impact. Christine is a curious being. She reminds me of a younger version of Camille, my favourite French singer who is crazy in an eccentric way. She is openly queer and sings about gender fluidity (read this interesting interview!) and is just an inspiration that you can be good as yourself.